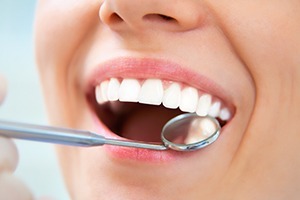 Do you dream of straighter, brighter teeth that will help you feel more self-confident? Are you regularly hiding your mouth behind your hand when laughing with friends or staying in the background of family photos so that your smile won’t be front and center? At Lakeside Daytona Dentist, we would like to help you achieve your ideal look with cosmetic dentist, Dr. Silva. We offer multiple services that are designed to elevate the aesthetic value of teeth and help you genuinely enjoy showing them off throughout your everyday routine. Contact us today here in Daytona Beach, FL to schedule a consultation. In the past, straightening your teeth meant wearing bulky metal braces for years and having frequent adjustment appointments that leave you feeling sore for days. But now, you can get the smile you’ve always dreamed of with Invisalign clear braces. Not only are these clear alignment trays comfortable and practically invisible when worn, but they also enable you to continue enjoying the foods you love without worrying about affecting your treatment. Traditional braces aren’t the only way to achieve a straighter smile that’s free of gaps and crookedness. 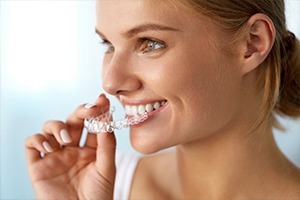 Our practice now offers ClearCorrect, which features clear, comfortable braces instead of wires and brackets. 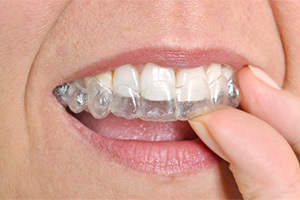 Patients will simply wear each aligner as directed in order to gradually shift their teeth towards the desired position. 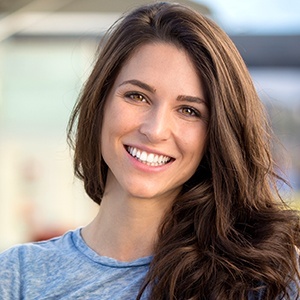 This treatment has a very subtle appearance that will most likely go unnoticed by the people around you, and the aligners are removable as well, which means you can continue to eat favorite foods, brush, and floss like you normally would. Porcelain veneers are high-quality, ultra-thin dental restorations that are designed to cover the visible surface of natural teeth. This cosmetic service is often an excellent fit for patients who want to refresh their overall smile’s appearance in a convenient timeframe. Whenever our patients are in need of a dental crown, inlay, onlay, or other custom-made dental restoration, Dr. Silva is happy to recommend all-ceramic, metal-free materials for a highly aesthetic result. Not only will your new addition blend right in with surrounding teeth, but it will also feel very comfortable within the mouth. Their biocompatible nature is also beneficial to patients who may have struggled with sensitivities or even allergies to dental metals in the past. Enamel can become discolored over time for a number of reasons, including diet, smoking, medications, a lack of oral hygiene, and even simple genetics. If you’re interested in giving your smile a boost, talk to our team about take-home whitening. 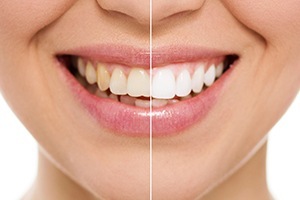 We’ll provide you with a kit that includes bleaching gel and custom-made oral trays. All the patient needs to do is wear both together as directed each day, and they should see beautiful improvements in just a couple of weeks.